Gough Square Chambers is a leading set of barristers’ chambers practising in regulated lending, financial services and consumer regulatory law. We are based in Gough Square, just off Fleet Street. Chambers is a niche, specialist set with in-depth expertise in our chosen fields. 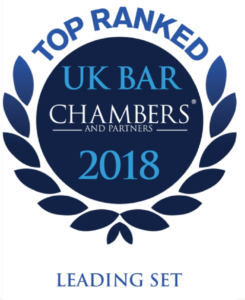 "Without doubt, the leading set for consumer law matters with eminent QCs, heavy-hitting mid to senior juniors and some brilliant rising stars"